Morningstar Research Inc., the Canadian subsidiary of Chicago-based independent investment research provider Morningstar, has released preliminary November 2016 performance data for its 44 Morningstar Canada Fund indices. The results showed increases in aggregate returns for 20 of the indices during the month. US fund indices led regionally based equity categories for November, with the US Equity and US Small/Mid Cap Equity indices advancing by 3.9% and 5.1%, respectively. This reflects an impressive rally in the S&P 500 Index, which fell around 2% in the days leading up to the US presidential election but bounced back afterward to gain a total of 3.7% at the end of the month. Canadian stock indices all posted positive gains. 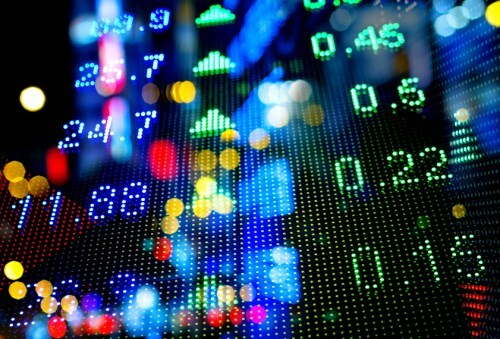 The Morningstar Canadian Focused Equity Fund Index, whose fund constituents have an average of around 30% asset exposure to US stocks, saw a 2.5% increase. The Canadian Dividend & Income Equity followed with a rise of 2.4%, while Canadian Small/Mid Cap Equity and Canadian Focused Small/Mid Cap Equity both gained 2.3%. Matching the S&P/TSX Composite Index was the Morningstar Canadian Equity Fund Index, with a total return of 2.2% for November. Two cyclical sector-tracking indices performed best overall in November. The Morningstar Financial Services Equity Fund Index surged by 7%, while the Energy Equity Fund Index jumped 6.9%. Both indices track sectors that stand to benefit from pro-energy policies and higher interest rates, which are expected under a US administration by President-elect Donald Trump. Outside North America, equity fund indices generally declined. Losses were seen for Greater China Equity (-0.9%), European Equity (-1.7%), and Asia-Pacific Equity (-2.5%). The Morningstar Emerging Markets Index was hit hardest, sustaining a loss of 5.6%. Other asset classes aside from equities also suffered. The Morningstar Precious Metals Equity Fund Index dropped -16.6%, while the Canadian Long Term Fixed Income and Canadian Inflation-Protected Fixed Income went down 4.3% and 2.0%, respectively. The only fixed-income index to finish ahead was the Floating Rate Loans index, which eked out a 0.3% gain.